Bery nice. easy to spend the day with so much to see. 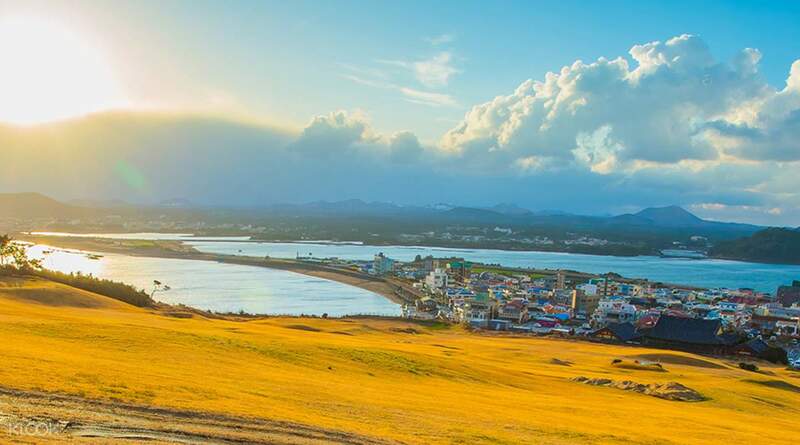 Discover the amazing Jeju Island - South Korea's idyllic island retreat and take a day to discover the area on the Jeju City Bus tour. Taking you around the best local sights, the bus offers the ultimate flexibility with a hop on and off policy. Spend the day taking in the rural delights of Sarabong Peak, or the amazing Dobudong Peak. However, if city life is more your thing check out the Jeju Folklore Museum, or the iconic Dongnum Market, a market frequented by the food conscious locals. For the perfect introduction to this beautiful part of South Korea, look no further than the Jeju City Bus Tour! Amazing! I went straight to Dongmun market and went to the Palace. The Palace was a nice place to take Instagram photos. Then went to the suspension bridge and to the coastal area for cafes. Go to these places and it's good enough for a day trip. Thank you Klook! Amazing! I went straight to Dongmun market and went to the Palace. The Palace was a nice place to take Instagram photos. Then went to the suspension bridge and to the coastal area for cafes. Go to these places and it's good enough for a day trip. Thank you Klook! The City Tour bus takes you to top tourist attractions and discover Jeju's heritage treasures. 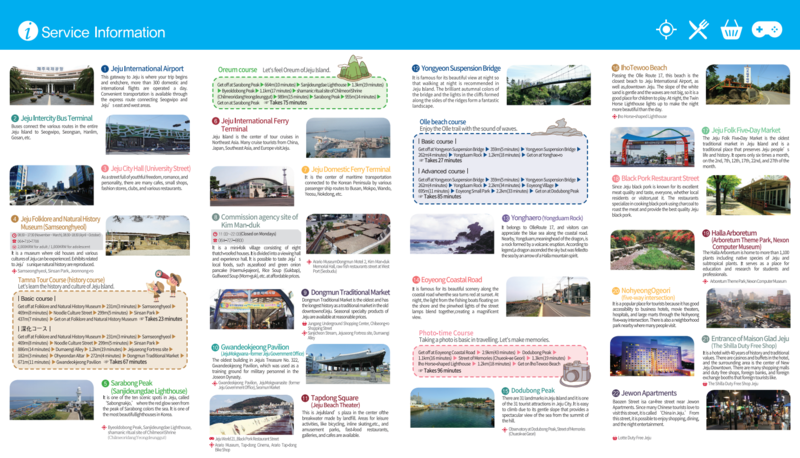 Wonderful and enjoyable visit for the entire family to Jeju Folk and National History Museum, special entry ticket discounts to Samseonghyeol, cheap traditional Korean cuisine at Kim Man Duk House Cafe, spectacular sun set at Tap Dong Square, scenic sea cost along Eoyeong Coastal Road, Ilho Taewoo beach to fly kites and enjoy ice-cream, experience traditional Jeju products in Dongmun Traditional Market. This is a must for first time visitors to Jeju. Thanks Klook for the savings and more discounts at partner shops, cafes and attractions. 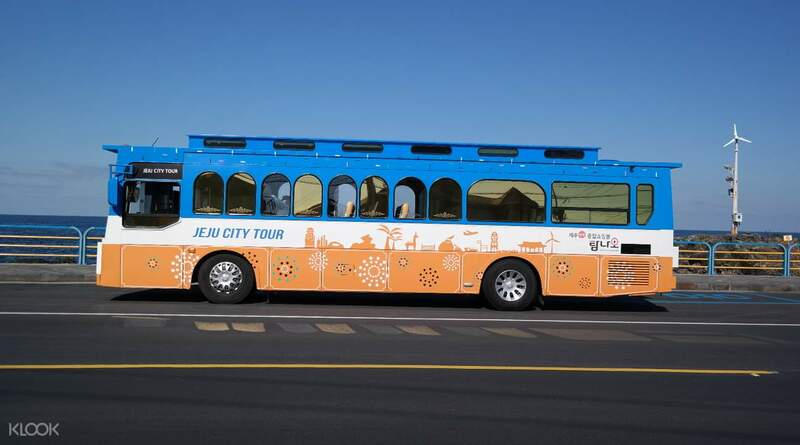 The City Tour bus takes you to top tourist attractions and discover Jeju's heritage treasures. Wonderful and enjoyable visit for the entire family to Jeju Folk and National History Museum, special entry ticket discounts to Samseonghyeol, cheap traditional Korean cuisine at Kim Man Duk House Cafe, spectacular sun set at Tap Dong Square, scenic sea cost along Eoyeong Coastal Road, Ilho Taewoo beach to fly kites and enjoy ice-cream, experience traditional Jeju products in Dongmun Traditional Market. This is a must for first time visitors to Jeju. Thanks Klook for the savings and more discounts at partner shops, cafes and attractions. Considering that transportation in Jeju is not that accessible compared to Seoul and Busan, it is very easy to get to the parts of Jeju City using this pass. Thanks Klook! Considering that transportation in Jeju is not that accessible compared to Seoul and Busan, it is very easy to get to the parts of Jeju City using this pass. Thanks Klook! Jeju City Bus tour is the most worthy treat. You can visit the places of interest according to your own time, no need to rush. We got to meet lots of interesting people along the trip. We would like to say thank you to France,our new Philpino friend who help us to take beautiful pictures. 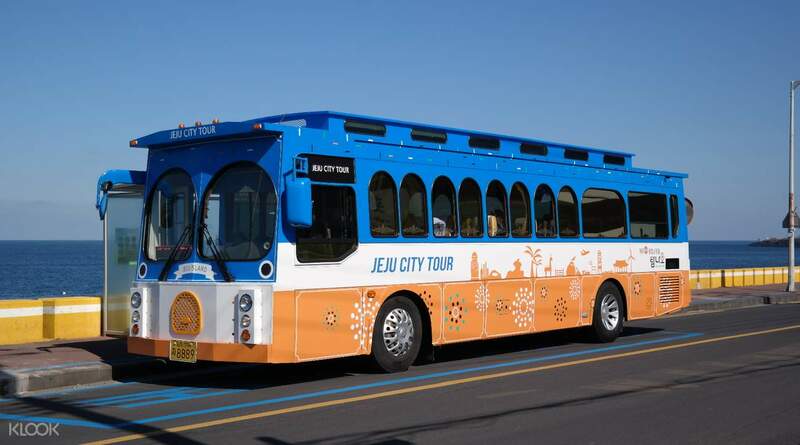 Jeju City Bus tour is the most worthy treat. You can visit the places of interest according to your own time, no need to rush. We got to meet lots of interesting people along the trip. We would like to say thank you to France,our new Philpino friend who help us to take beautiful pictures. If you're a budget traveller and wanted to explore the beauty of Jeju , I recommend this City Bus tour. I love Jeju. Thanks klook. If you're a budget traveller and wanted to explore the beauty of Jeju , I recommend this City Bus tour. I love Jeju. Thanks klook. The Tour was great but if you want to visit all the 22 places you have to book atleast 2 days, I enjoyed the sightseeing on the places that I chose. The Tour was great but if you want to visit all the 22 places you have to book atleast 2 days, I enjoyed the sightseeing on the places that I chose.